Allow me to give a little back information to you. I am a 33 year old male. I am 6'3" and 263 lbs. I had my first smoke when I was thirteen. It was summer break and my friends and I stole 2 smokes from our parents. I didn't want to partake but the peer pressure was intense. At this point in my life no one really understood the importance of educating youth on reasons not to smoke. So here I was smoking this cigarette and getting sick off of it but forcing myself to do it so my friends would think I was cool. That was the first regrettable mistake I made in my life. By the time I was 15 I was smoking 8-10 cigarettes a day. When my parents caught me and grounded me I found ways to smoke to spite them. I guess I showed them. When I was 18 I was up to a pack a day and by 19 I was close to 2 packs a day. At this point of my life I didn't even really have the urge to quit. To me smoking was just part of my life and I learned to live around the addiction. In the year 2008 I had a wake up call. I was allowing my entire body go to hell from the inside out. At this point I was weighing in around 320 lbs and I would get winded just walking up the stairs in my house. 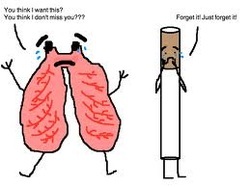 This was the first time I actually wanted to quit smoking. So I set up an appointment with my Dr to see what my options were. This would turn out to be the beginning of many failures. I tried the gum. On this attempt I made it 5 days only to realize the gum made a great holdover until I could smoke. 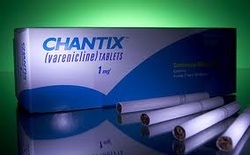 So this would start my year of smoking and chewing Nicorette. When I tried the patch I got an idea of what it would be like to have an I.V. of nicotine. This method wasn't for me. I only made it 36 hours of no smoking and ended with a really bad rash. September of 2009 offered me the magic pill I was looking for. Well it wasn't magic but it was a little blue pill that offered me the chance I was looking for. I made it 8 months without any smoking. But the stuff will make you crazy! I thought I was good but my mind wasn't into it. I wasn't ready to quit just yet. Tuesday April 23rd at 4:04 P.M. Little did I know but this would be the last smoke I would ever allow myself to have again. I don't know how or why but I knew this was it and I was ready. I realized that for the first time I wasn't quitting anything. I was starting something new. With this new found understanding I felt it would work this time. I woke up covered in sweat and wanting a smoke so bad. I remember lying in bed trying to find a good reason why I shouldn't just go to the gas station and buy a pack. Lucky for me a cold morning shower can and will distract anyone's focus. After my shower I felt much calmer and ready for the day. Well some of the day. I felt that skipping class a second day would be in my best interest. Around lunch time my thoughts were spinning a mile a minute and I felt this to be a great time to do some research on the matter. At this point most of the nicotine had left my system and my lungs had started to repair themselves. All the research about smoking had made me want to light up. I felt the only thing that would work is to work out my lungs so they didn't want anything but oxygen. I hopped on my bike and logged 6 miles. My time was 38 min and when I stopped back at the house I was coughing so hard that I almost made myself pass out. Food cravings were still around all the time and after the bike ride my energy level was around negative 50. The rest of the day involved the couch, the fridge, and the t.v. Today I woke up again in a sweat. Sleeping patterns are all over the place and I find myself waking up at all hours very thirsty. Today is what I would consider a stack day. The kind of day that wants to stack as much s! !t on top of you to see how you handle it. I went to class today and was quite impressed to see that I wasn't as far behind as I thought. Don't get to impressed, its an online class. I went for a 7 mile bike ride and knocked it out in 36 min. Felt as if there was an itch inside of my lungs after this ride. Later research would pin point it to my lungs regrowing hairs and that I feel them growing. It was during this bike ride when the day starting toying with my emotions. Lady almost hits me with her car and proceeds to follow me and yell at me, then there was the bug that smacked me in the face so hard I wrecked in a bush. Later that day there was the garbage man not getting all the trash from my can. I guess a sane person would probably find this to be a no big deal day. But on day 4 this is a HUGE deal. Helped to do deep breaths and drink water. God water tastes so awesome. I drink so many bottles a day now. Today was the first day I feel good on the inside. For the last 3 years I was afraid. Afraid of the thought of never being able to quit. To never be able to live with the thought of never smoking again. This thought terrified me. Every morning I would have those two smokes with my coffee and wonder how I could do with out these. Every evening I would find myself smoking and wondering why I developed headaches around 4 in the afternoon every day. Always wanting to quit but afraid to quit at the same time. This was to me one of the easiest days of my life. See after choosing to quit the day before I already had 15 hours of no smoking under my belt. My body was ready and my mind was to. I avoided coffee this day to avoid any triggers. Around the 24 hour period my body kicked into overdrive and the cravings kicked in. I ate, and ate, and ate to make these cravings subside. It worked. On this day I choose to skip class due to the higher likely of me making a detour to the gas station on the way in. My overall energy level was at negative 20 and the slightest things would set me off. I didn't notice any positive effects at this point, although the books say my body was enjoying the benefits of no smoking. Sleep was something that came and went. It felt like someone cranked up the furnace inside of me. Sweat covered and craving that morning smoke I found myself right back in the cold shower. This was day 3 of no coffee and my body needed some. After making the coffee I noticed how strong the smell of the fresh cup was. I guess the point of things smelling better was upon me. It was at this point in the morning I was feeling bloated. I stepped on the scale to find that I added 5 lbs in 3 days. Freaked out I did research to find this was my bodies way of trying to hold on to the remaining nicotine. Feeling fat and unhealthy, I choose to ride my bike again. I logged another 6 miles but this time I clocked a time of 35 min and while my lungs were on fire I didn't cough so hard when I was done. Day 3 still brought the need for me to skip class. 3 days out of my normal routine I felt was a major help. I did notice that I was able to breath deeply. I like this because this is how I cope with my craving attacks. Lucky for me they are slowing down and not lasting as long. At this point I was starting to get an idea of how I wanted to attack this long term. My food craving was through the roof and I knew that I couldn't afford to many more days of eating whatever and whenever I wanted. By the time it was for bed I had a unique sense of awesomeness come over me. 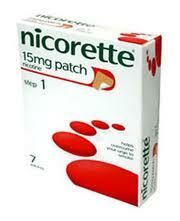 I had quit for 3 days and I did it without prolonging the effects with a nicotine replacement. I went to bed feeling good about myself. Weekends are always rougher due to kids and a wife. But today we kept ourselves very busy with cleaning and yard work, and with the heat comes a desire to smoke less. Last night I actually slept ok, just had some vivid dreams. The urges are coming less through out the day. I am still working out the whole food to replace smoking concept going on in my head. I found myself reading a lot of peoples blogs on how they feel on day 5. Some people on the internet just need to be slapped. If you find that you were able to quit so easy, that is information best left unsaid. Don't tell me that you smoked for ten years then quit without a second thought. Most likely BullS! !t but if its true then good for you and I hate you. So between yesterday and today I think my weight is platued at 272lbs. Now time to focus on a plan to lower that number. I would hate to be that guy who quit smoking only to put on a lot of weight and die from that. 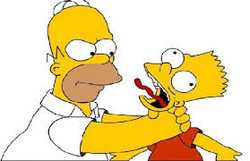 Today I only had 4 cravings and 2 "I want to kill you" moments. Today started out a great day. Woke up with out being covered in sweat. Everything seemed to go smoothly. I went for a 7 mile bike ride and really enjoyed the smells around me. I notice that deep breaths come much easier and I don't get that winded when doing activities. I do notice there is an emptiness inside of me. It is like something is missing from me. I know what it is and I don't want to go back but I am still searching to find something that can fill that void. I went to the U of A today and felt great walking around campus. My self image is much better. Now I have no worries of being judged by those I talk to. I feel like I don't stink and I noticed that my teeth appear to be getting whiter. Only 3 cravings today. While 3 isn't bad they were intense. Every time I want a smoke and I start to play it out in my head how it would be ok to have one, I realize that right then and there I am choosing not to smoke even though I can and it helps a lot. Today was overall a pretty good day. I am starting to see some light at the end of the tunnel. There was a little celebration at this point. I made it to the second milestone. One week and strong. By this point any sign of smoking is gone as far as by products and such. The damage is far from gone but the body does a great job at rebuilding itself. I continue riding my bike. Today I had only a few urges and once again breathing deeply and water are amazing. I do not recommend candy. 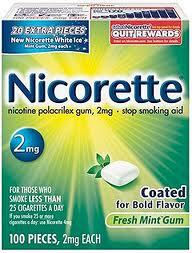 Trust me if its sugar free and you eat one everytime you want a smoke you will most likely be in for some pain. Sorbitol is nothing to mess around with. What I am amazed at is how deep I can breath in. Usually this was a daunting task, and now I do it all the time. Kudos to me! Oh how time flies. Submerged in class and finals, I peaked my head up for one minute and it appears that I made it through week two. While week one was slow enough to make a snail appear fast, week two was super fast. I rode my bike quite a lot. Not to plug any app's but map my ride is quite nice on my phone. It allows me to keep track of all my rides and routes. Quite helpful. No longer are the urges hitting that nerve. 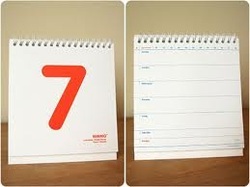 According to some websites after two weeks I will have developed new habits to replace the old. This is fine by me. Coffee, while still quite nice, has a whole different meaning to it. No longer the speed superstar I needed first thing with my smoke, I find it takes a few hours to kick in. My morning cup at 6 a.m. takes till 8 to get me going. Guess that's life. Sleep!!! I can sleep! And it's like I am in a coma. Where have you been. I was strong enough to have two beers at lunch the other day. While I was feeling good, I wasn't messed up so I was able to make the smart choice of a mint over smoke. I have not been able to get rid of the food to mouth obsession so to help curve the weight gain I started rocking out veggi's. Carrots, cucumbers, peppers, you name it I eat it. Feeling great and so impressed that I was able to make it this far. Now if I become a smoker again it was my choice and not the chemicals. Everything was going great until this week. Between the stresses of managing my son's T ball team, to my daughter breaking her arm and spending forever in a hospital has taken its toll. I broke down and smoked a smoke. One smoke, one drag at a time, to only realize that it wasn't what my body wanted at all. All the feelings of nasty in one smoke. Its hard to explain but basically I would feel better to run until my lungs were on fire then the fire I felt from that smoke. Even worse was the guilt from that one smoke. So other than the readers here no one else will know I slipped up. That was three days ago. I feel great again and research has set my mind at ease. While that one smoke wasn't good for me it didn't cause a lot of damage on the back end. Remember quitting something is usually a negative trend and means you are loosing something. Instead look at it as you are starting something new. Today I started not smoking. That means I can smoke if I want to but choose not to instead. This way I am not giving up anything important. I have a choice. I control me! It's freedom. It's a great feeling, and I am saving some bank. So far just in tobacco alone I have saved 120.00, added about 1.5 days to my life, and I can't remember when I felt this good. So I hope that if you smoke you can take back your life. Remember it's easier to fail and quit then fail and try again.